Husain Abdulla Khalaf is a 31-year-old former school bus driver from Hamad Town, Bahrain. He was arbitrarily arrested, disappeared and tortured at the Ministry of Interior (MoI)’s Criminal Investigations Directorate (CID). He is currently in Jau Prison. At approximately 2:00am on 3 November 2015, Husain was arrested from his home, without a warrant, by a mixed group of uniform male police officers, two female officers and several men in plain clothing.. Some officers took him to an unknown location away from his home while others stayed until 8:00am, searching and damaging items in the house. When the group left Husain’s home, the officers seized 3,000 Bahraini Dinars as well as two cameras and a laptop. Husain was charged with three offenses: (1) joining a terrorist group known as the Zulfiqar Brigades; (2) training in Iraq and Iran; and (3) possessing explosives without a permit. Upon arrest, officers disappeared Husain for 28 days and held him incommunicado at the CID until they transferred him to Dry Dock Detention Center. While at the CID, officers interrogated and tortured Husain for approximately 28 days, including subjecting him to physical beatings and electric shocks. Officers also blindfolded him for most of the time, negatively affecting his vision. Husain suffered from pain in his limbs, back, and teeth due to the torture. The officers tortured him in order to force a confession. Additionally, the officers did not allow his lawyer to be present during interrogations to verify the fairness or legality of the proceedings. On 15 May 2018, Husain was sentenced to life in prison and denaturalized in a mass trial of 138 individuals. He is currently incarcerated at Jau Prison awaiting his appeal. Bahrain has violated a number of its international and domestic obligations in its treatment of Husain, including the International Covenant on Civil and Political Rights (ICCPR), the Convention against Torture and Other Cruel, Inhuman or Degrading Treatment or Punishment (CAT), and the Bahraini Constitution itself. Husain’s warrantless arrest and search were in violation of the Bahraini Constitution and his lack of access to legal counsel during interrogation and trial amount to an unfair trial in violation of Article 14 of the ICCPR. These render his detention arbitrary in violation of Article 9 of the ICCPR. Furthermore, the torture and ill treatment he was subjected to were in violation of Articles 7 and 10 of the ICCPR and Articles 2 and 16 of the CAT. 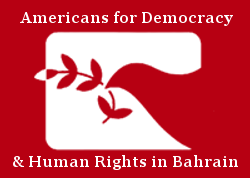 ADHRB calls on Bahrain to uphold its human rights obligations by annulling Husain’s conviction and ensuring that any subsequent trial would be consistent with due process and fair trial rights, including access to a qualified attorney. We urge the Office of Public Prosecution and the courts to reject statements made as a result of torture in legal proceedings, in line with Bahrain’s treaty obligations. Lastly, we call on authorities to investigate claims of torture and ill treatment by officials, and to hold them accountable for their unlawful conduct and actions.